A common problem with Mini Coopers is sludge build up in the bottom of oil pans and improper running engines. This is why it is important to have a mini schedule maintenance when due. Sludge can happen to any vehicle, regardless of the car’s age or mileage. This is because of blocked internal passages of the engine feeding variable or blocked valve timing or chain gears. When manufactures introduced their FSS (flexible service system) which was suppose to tell the difference between normal and severe driving conditions, they were experiencing a high engine failure rate. When the car reaches 15,000 MILES without proper maintenance it is highly likely your Mini will encounter problems especially in the heat here in South Florida. Mini Inspection 1 Service: The MINI Inspection 1 Service is the smaller of the two Mini Cooper inspection services recommended by MINI. 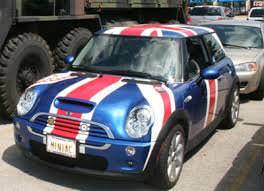 German Car Depot your South Florida Independent Mini specialist. Mini Coopers actually give a date, miles and time of error codes. This aids in making sure we do not have false positives. Selling unneeded repairs unlike the Mini dealers GCD techs and service writers do not get paid on what is sold no commission at GCD. MINI Inspection 1 Schedule Service today and save on dealership prices. Worried about you factory warranty well don’t! The FTC did passed law back in 1970 is called the Magnuson-Moss Warranty Act, and among the many things it does is empower the Federal Trade Commission to prohibit car manufacturers from voiding a vehicle’s warranty because service was done by a non-dealer. Inspection (I) is also known as a Minor service and Inspection (II) is also known as a Major service. Inspection II includes most of the tasks from Inspection I with additional Inspection II tasks. Check condition, position and mounting of exhaust system. Adjust if necessary. Check power steering system for leaks. Check fluid level and add if necessary. Check steering rack and tie rods for tightness. Check condition of steering linkage and steering shaft joints. Check overall thickness of front and rear brake pads. Check parking brake actuator. Adjust if necessary. Check all tire pressures (including spare if equipped) and correct if necessary. Check condition of tire tread surface, tread wear pattern. Align if necessary. Check engine coolant system / heater hose connections for leaks. Check windshield washer fluid level and antifreeze protection. Add if necessary. – engine compartment light, trunk light.